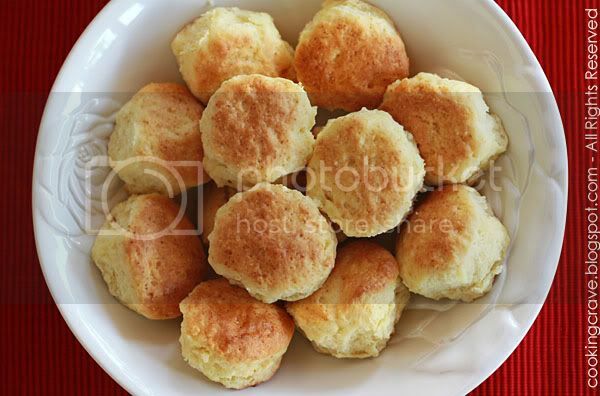 Cooking Crave™: Scones or English Biscuits?? My friend told me that this is English Biscuit. I don't know if this is scone or biscuit, I haven't tried the English Biscuit before. To my curiosity, I tried to bake this recipe shared by Happy Home Baking the other day. It's low fat, not too sweet and the texture are soft. My daughters even think that this is bread and ate 3 little scones at one go. She just love it!! I would like to thank HHB again for sharing this recipe. Thank you! I make it smaller size and I get 13 scones with the recipe shared by HHB. 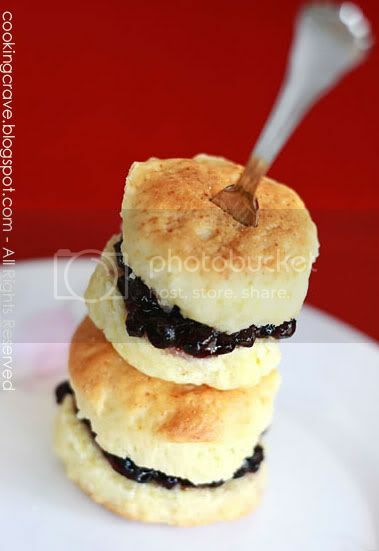 Please click HERE for the recipe of this yummy scones, or I shall said it's English Biscuit. Hi. nice to meet you. My first time here on your blog. Thanks for droppin by on mine! Enjoyed browsing and will definitely go back for more..
this look great, looking forward the recipe, wish to try out. you tease me!! I can't bake anything now before I get rid of my spare tire! >_< !! my goodness, i m speechless! my sister's favourite..she will definitely love this blog.. keep on cooking goodie stuff, Amy! Wow!! Scones again.. really tempting. I like scones very much! These mini scones looks really pretty!